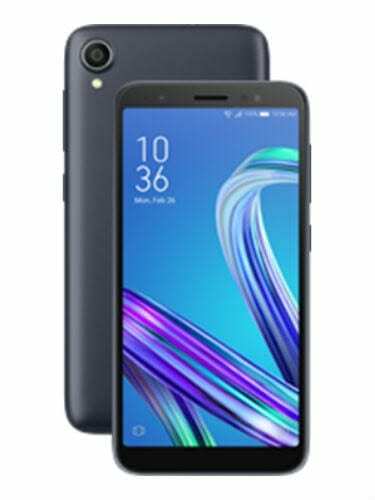 The ASUS Zenfone Lite (L1) was one of the smartphones unveiled by Asus alongside the ASUS Zenfone Max (M1). However, the smartphone is a Lite model which is why it has inferior specs compared to the Zenfone Max. Even though the smartphone is more aggressively priced, it has more or less the same build with the more premium model. Nonetheless, there is still a level of similarity between the two including screen resolution and chipset. Despite adopting the 18:9 aspect ratio in its build, the smartphone still has a somewhat traditional look. There is a conspicuous camera module pasted at the top-right and a flash below it. 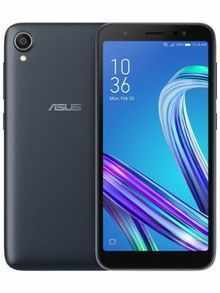 It doesn’t have a fingerprint scanner which differentiates it from the Zenfone Ma, in its place you have Asus branded unto the back. Being a low budget smartphone, the visuals are not that strong like you would have on other more premium smartphones. The phone measures just 5.45-inch diagonally and is supported with an HD+ resolution. Furthermore, you have quite prominent bezels rather than the much more reduced modern style of things. Taking a dip down the capacity lane, the ASUS Zenfone Lite (L1) comes with much less power compared to the Zenfone Max (M1). By a difference of 1000mAh, the smartphone comes with 3, 000mAh battery capacity. Naturally, it doesn’t have fast charge either is it expected at the price. Stripping one camera off the back, the smartphone has a solo 13MP camera at the back which is certainly not for fancy mobile photographs just the basic stuff. On the other hand, there is no less than a 5MP camera for selfies and maybe wefies as you might have it. Not much of a difference on the smartphone as it has the same low-level octa-core processor on it. The Qualcomm Snapdragon 430 CPU is well not the type you’d want to engage on heavy tasks. The rest of the specs include a 16GB internal storage and a 2GB RAM size. You may decide to increase the storage space up to 256GB using the Micro SD card slot. There is Android 8.0 Oreo on it and the usual ASUS skin layered on. The smartphone costs about 35, 000 Naira depending on the deal and your location. Previous articleWhy Luxury Apartments are becoming an Attractive Alternative to Hotels?